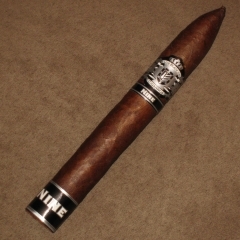 A couple months back I had my first experience with the Padilla with the Dominus and it wasn’t a good one. After chatting with some some local shops they didn’t have too many nice things to say about Padilla bringing up some major changes a couple years ago leading to some major inconsistencies to the point where they won’t even carry the brand. 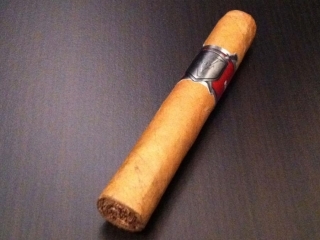 However after chatting with Dave (CigarSage.com) he eased some concerns telling me he wasn’t to fond of the Dominus and to give some of the other Padilla cigars a try. Also I generally am not a fan of the Corojo wrappers but I won’t hold it against this cigar. So my whole Los Blancos introduction came from the Los Blancos Cigars President, Cesar Blanco. The story begins just a few weeks ago when earlier in the night myself and Ben were smoking Anejos down in Ybor City at King Corona. During our time at King Corona we had been chatting about the Alec Bradley Vice Press and wanted to go pick one up. 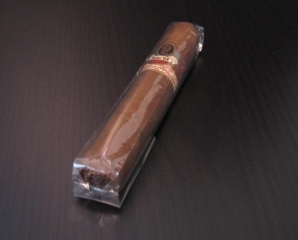 So we finished our cigars and headed strait to a shop where we knew they had them. Arriving at SoHo Cigars we noticed Scott the owner of SoHo Cigars sit back and another guy popped up and started helping us out. We later found the guy who popped up was Cesar Blanco. Apparently according to Scott they were having an impromptu event that hadn’t even been announced. Cesar asked some great questions about our tastes and pointed Ben at the Los Blancos Criollo while I picked up the Los Blancos Nine Robusto. By the way I also picked up the Vice Press.